One of the skills that seems to be the hardest to teach your children is to tidy up. When they are very young putting a few blocks or toys in a bucket with Mummy or Daddy seems very grown up however the novelty soon runs out. What's the alternative though? A lifelong battle which stretches into their teens and beyond or some clever early training which will *hopefully* turn the tidying tides in your favour? Organising and tidying is at the end of the day a chore however when you incorporate fun-looking as well as practical storage solutions into the mix children are more likely to want to help out. Use buckets, boxes and even wall-hanging storage which will keep toys and books tidy while adding to the cool or cute look of the room. 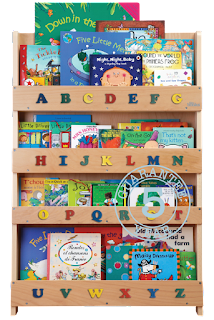 These fabulous Tidy Books book storage solutions both look fabulously fun and offer a substantial amount of storage. Many parents especially like the fact that children may so easy view the front of the books rather than just the spines as they would on a traditional bookcase. Showing your children in a very visual way that they have achieved something or suceeded at a goal is a great way both congratulate them and motivate them further. Reward stickers and charts work wonders when it comes to building good habits, showing progress and saying well done. Whether there is a treat at the end of a complete row of stickers or not is up to each individual parent obviously. 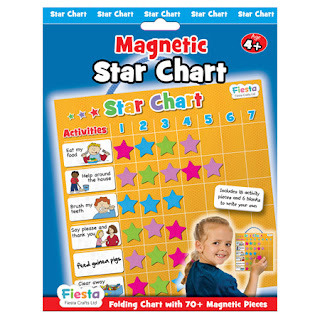 Reward charts are used in a wide number of settings from at home to schools and with great success. Anyone who has watched a child painstakingly put one toy away after another in a very deliberate and very slow way will appreciate the need for speeding things up (many swear savvy little ones do this so that us grown up will get impatient and take over!). Use a clock, an egg timer or simply start a tidying up "race" to get things moving! Even little ones appreciate good interior design, be it based around their favourite theme or character or because their room is now "grown up". Let your kids choose their theme where appropriate and take some part in making their room special. This gives them a sense of ownership and pride in their space and further encourages them to want to keep it it looking nice. While some would say that children should tidy up because they are told to, not because they receive a sticker or praise we believe that making tidying up and being organised fun and a good habit early on can only be a good thing longer term.